Kirti’s husband Aditya shouts on Chitti, after icecream falls on him. Naksh stops Aditya from misbehaving with Chitti. He says Chitti is their family member, and asks him to behave well. Naksh defends Chitti. Naksh wants to make sure Naira is going in a good house, where values are nurtured. 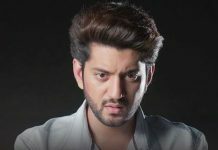 Aditya gets more angry and asks Manish to see this family, don’t make any mistake, invite me if functions come in banquet hotels, see this family, they have no manners. Naksh calls him ill-mannered and scolds him. Aditya boasts of his richness. Naksh teaches him importance of relations and valuing people. Aditya angrily leaves from there. 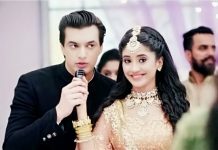 Naira and Kartik have silent romance in front of the families. Kartik says I don’t want to go from here, I feel like crying. 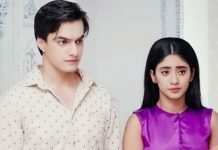 Rajshri asks him to go, else how will he get baraat and marry Naira. Singhanias and Maheshwaris see off Goenkas. Naksh-Kirti’s track will be beginning next. Keep reading.